2) The Deposit of Faith left by Jesus to the Apostles. 3) Ancient liturgical traditions that have been passed on from one generation to another. 4) All Ecumenical Councils, (not just Vatican II). 5) The writings of the Doctors of the Church and saints. 6) All the pope’s encyclicals. 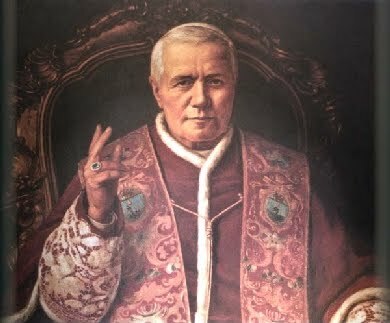 Pope St. Pius X or Giuseppe Sarto is one of those great defenders of the purity of faith that we traditionalist especially look to. We do so because he was the one to point out, and tried to eradicate, the terrible heresy of Modernism from the Catholic Church hierarchy. The Pope’s motto was to “Restore or Re-establish all things in Christ”, “instaurare omnia in Christo”. Ephesians 1:10. And this is precisely what we traditional Catholics are trying to do today, reform, restore, renew and resist modernism and change to doctrine. 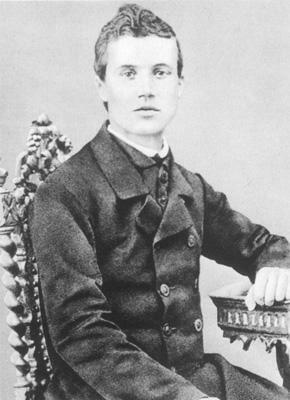 Pope Pius X had been a spiritual director and rector of a seminary, so he knew how important the proper formation of priest is. As pope, he called to the attention of the bishops the “spirit of independence” in younger clergy that he called a “menace” to ecclesiastical discipline. To counteract this he strongly stated that all their studies be based on St. Thomas Aquinas. He saw the Holy Eucharist as the center of our faith. He encouraged all Catholics to frequently receive Holy Communion and allowed children to receive as soon as they were of the age of discretion. Because of the heresies being spread, he dedicated much of his effort to catechetical instruction, not only for children, but also for adults, giving detailed rules, especially in relation to suitable schools for the religious instruction of students of the public schools and universities. 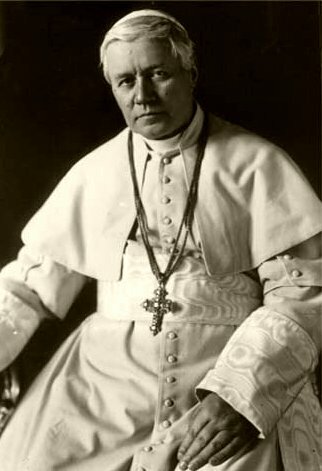 Above all things, (as also concerns us traditional Catholics), St.Pope Pius X was extremely concerned about maintaining the purity of the Catholic faith. He pointed to the dangers of certain new theological methods based upon Agnosticism and Immanentism, that then divest the doctrine of the faith of its teachings of objective, absolute, and immutable truth. These methods also had “subversive criticism of Holy Scripture and the origins of Christianity”. His encyclical “Pascendi”, in which he expounds and condemns the system of Modernism, is what we traditional Catholics are mostly concerned with. It points out the danger of Modernism “in relation to philosophy, apologetics, exegesis, history, liturgy, and discipline, and shows the contradiction between that innovation and the ancient faith; and, finally, it establishes rules by which to combat efficiently the pernicious doctrines in question.” Catholic Encyclopedia 1913. So he established a Committee of Vigilance with ecclesiastical sanctions against all clergy teaching modernism. He also censored books that propagated modernism. All clergy had to take an oath, binding themselves to reject modernism. You can see the Oath Against Modernism here. He recognized that the study of the Bible was both, the most important and the most dangerous study in theology. So he formed the Biblical Institute, under the direction of the Jesuits (when they were still trustworthy). He was born poor and died poor. So he also had great care for the poor. He also looked for solutions to the social problems of his time. Many Catholic associations of his times were leaning towards Socialism and promoting a spirit of insubordination to ecclesiastical authority. So he banned them and formed new ones that made it possible for a balanced Catholic social action that prospered. But he always stated that there was no stable social order that was not based on the authority of Christ the King and Him governing over governments. Let each one of us traditional Catholics take time to pray and study what this great saint wrote. Let us also share this information with others. I never really understood Modernism, the root of the crisis in the Church today, until another traditionalist pointed it out to me and had me read the encyclical “Pascendi“. Print it up, pass it out. We are not crazy, the church today is. 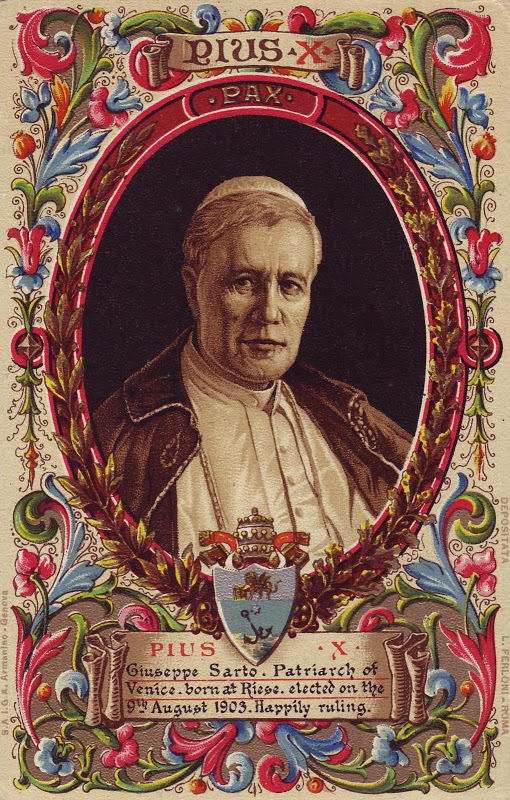 St. Pope Pius X is a saint and great teacher. May we work and die for the “re-establishment of all (that is pure Catholicism) in Christ”. 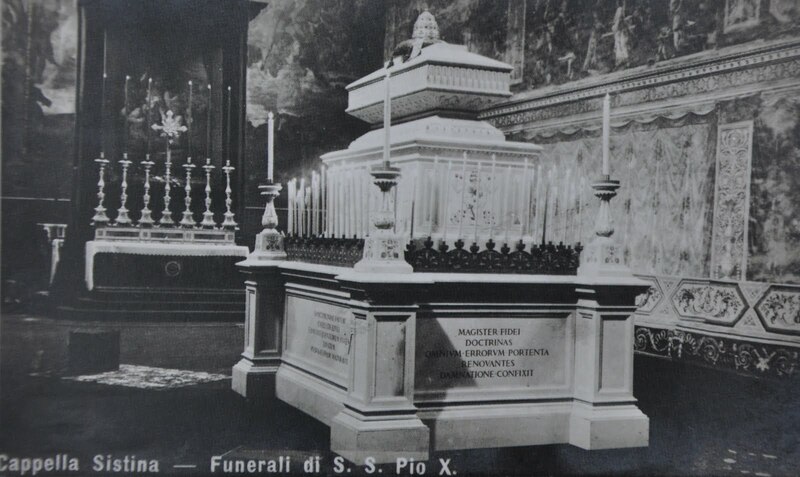 It is said that our dear St. Pope Pius X died of a broken heart when all his beloved seminarians, from all over the world, had to leave Rome and go to fight each other in the beginning of World War I. St. Pope Pius X, pray for us.